According to Gfk Temax Italy, Italian market of Technical Consumer Goods started the year with a Q1 growth of 3.6% compared to the same quarter of the previous year, with a generated revenue of 4.4 billion euro. 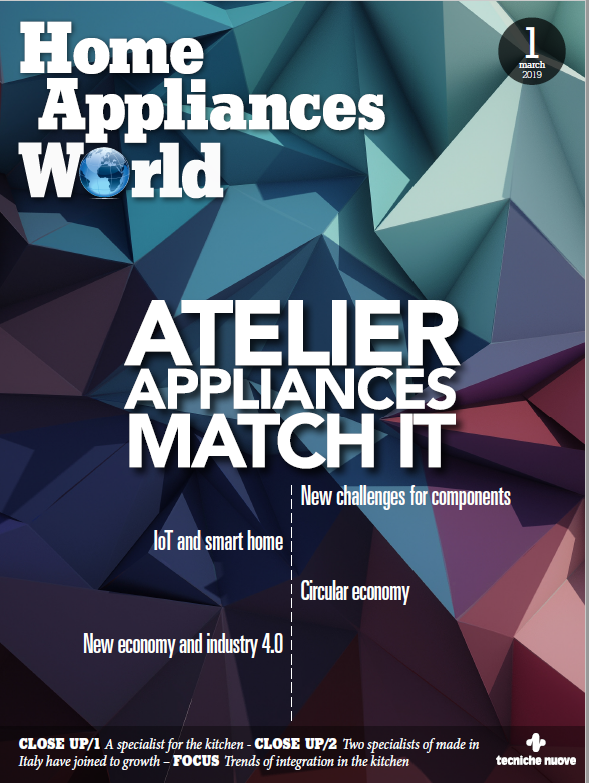 Home appliances, however, are not among the growing sectors. Overall, the Major Domestic Appliances sector slowed down in the Q1 2018, especially due to the general price erosion of washing machines. 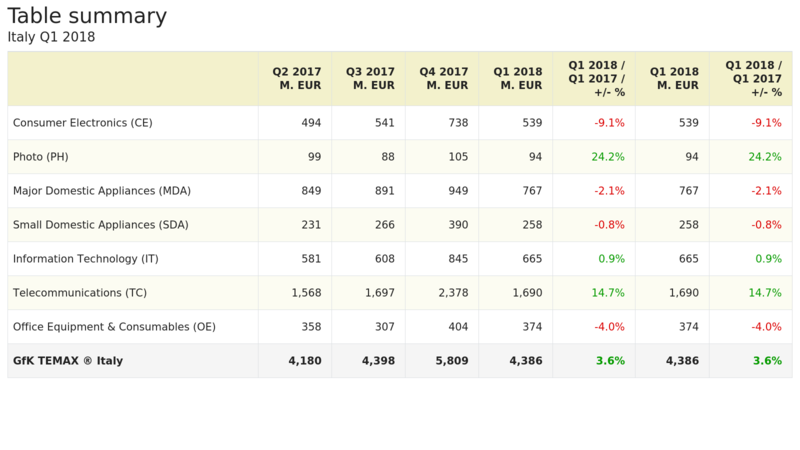 The revenue of the first three months reached 767 million euro, decreasing by 2.1% compared with the same period of 2017. Small Domestic Appliances also showed a negative performance, recording a fall of 0.8%. The most negative trends were related to hair clippers and irons. Among the other Technical Consumer Goods, the best performance was that of Photography and Telecommunications sectors which respectively rose by 24.2% and 14.7% and literally dragged the market to a positive performance. The first quarter was very negative, instead, for Consumer Electronics, which marked a -9.1%: the PTVs negative trend influenced the performance of all the area, as well as car entertainment that continued to decline due to the negative trend of car audio and car navigation products.